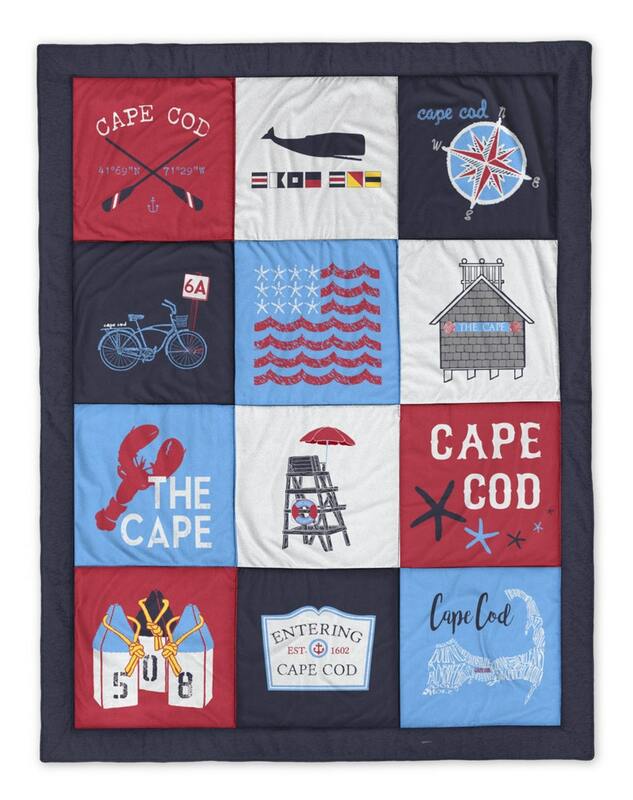 Our NEW Cape Cod Navy Destination™ Blanket! 62" x 80" 100% cotton, polyester filled, comforter. 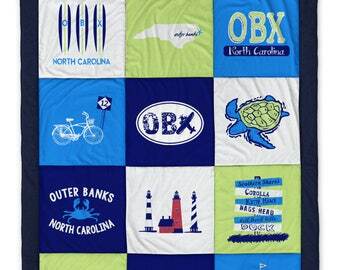 Made of soft and durable sweatshirt material this is a 12 panel stitched blanket with border.